Do spiritual paths such as Advaita Vedanta and Madhyamika Buddhism lead to the very same truth, the same realization? After all, advocates of these paths have debated each other for centuries. For us in the modern world, with limitless data at our fingertips, we can experience information overload and cognitive dissonance when we confront lots of different spiritual paths. It’s tempting to want to make the tension go away by saying “they’re all the same.” But if they were really the same, why would Buddhists and Hindus argue the truths of their paths from Adi Shankara’s time to the present? We can certainly say that they share certain overall soteriological goals, such as freedom from suffering, as well as happiness, compassion, love. The heart wants to say “SAME” here. That’s understandable, and I feel that deeply too. But beyond that, the mechanics, concepts, practices and languaging are very different, even on the surface. Certain views lead to certain realizations. Other views lead to other realizations. Realization is dependent on view. If realizations can affect views, then why can’t views can affect realizations? In this sense, the views of Advaita Vedanta and Madhyamika Buddhism come out as quite different. In fact, Madhyamika owes much of its presentation to the rejection of essential nature and absolute truth that it attributes to Advaita. The two paths could not be more different on this. You do your thing, we’ll do ours. Let’s just all be kind to each other. What about Brahman and all the Vedantins who study that? Are you saying that emptiness is true and Brahman is mistaken? Brahman – that is their business. 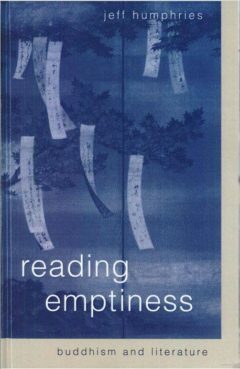 Emptiness – that is our business. So I think it isn’t helpful to try to stand in a neutral place and compare the truths or the metaphysics of these teachings. We can’t do it. Where would we find a neutral place? We can give a Mahyamika interpretation of Advaita or an Advaitin interpretation of Madhyamika. Or a comparative religion-style story about them. Or an everyday psychological assessment of both paths, if we have have had experiences in both. In all these cases, we’re coming from a particular perspective. But to try to give a metaphysical comparison and ordering and ranking of views from a place that is supposedly “neutral” or “impartial” or “unaffected by views” can’t be done. We can’t jump out of our skins. We can’t place ourselves between our views and the world. Comparisons and ordering and ranking and assessments are never neutral, but always themselves dependent upon certain standards. And standards are dependent upon views. My apologies if this comment is rather long. I was a member of F.Schuon’s Sufi brotherhood for a long time. At the end I had several differences with his teachings (plus other things) which obliged me to leave the group. As you will see below, he equated integral metaphysics with universal esoterism (hard to distinguish from what he later called ‘religio perennis’). Under his influence – and that of Guénon and Coomaraswamy – I decided to call my own blog ‘Unanimous Tradition’ – a misnomer too late now to change for some other. Schuon: ‘Esoterism as such is metaphysics, to which an appropriate method of realization is necessarily added… the ultimate reality of metaphysics is a Supreme Identity in which the opposition of all contraries, even of being and not-being is resolved’ – F. Schuon, Two Esoterisms, in Survey of Metaphysics and Esoterism, p.115). ‘Authentic esoterism’ which, Schuon wrote, stems from the nature of things, ‘is the way which is founded on total and essential truth and not merely on partial or formal truth’ (‘Human Premises of a Religious Dilemma’). ‘If we speak of different metaphysics or esoterisms , we are at a higher level of discourse than when dealing with the various religions, and thus we will find at least some cognitive approximations, if not identity, between them; but differences there are. Unquestionably, the esoterisms of Buddhism, Christianity, Islam, and Hinduism differ from each other, including, of course, the doctrinal aspects, and we could say of them, though the comparison is only approximate, what Reza Sha-Kazemi writes about spiritual realization and the religions: “… Is the summit of the mystical quest one and the same, or are there as many summits as there are religions? The overriding conclusion is that… one can justifiably speak of a single, transcendent essence of spiritual realization, whatever be the religious starting-point. The stress here is on the word ‘transcendent’; anything short of this level inescapably entails multiplicity and hence differences as well as similarities, but not unity: unity in an absolute sense is only to be found at the level of the Absolute, that is, at the transcendent level, precisely.”’ ( ‘Paths to Transcendence – according to Shankara, Ibn Arabi, and Meister Eckhart, 2006 – p. xiv). Thanks for your note, Alberto!